Unless you’re currently living that Maybach/Balmain/Cartier life, one can’t exactly call Kérastase “budget,” since their shampoos and conditioners are in the mid-$30 range, but if you like their products, or you’ve wanted to try their products, FYI, price cut! In most cases, they’ve dropped their prices between $2 and $8, which isn’t bad. It makes them a little more accessible. I’ve been testing a few things I haven’t used before from their Reflection line for color-treated hair — Bain Chromatique Sulfate-Free Shampoo ($30), Fondant Chromatique Conditioner ($34) and Masque Chromatique ($53). No idea how they compare to their previous pricier versions, because I never used them before, but the company says that the formulas have all remained the same. They just cost a little less. I started using them this month, and my wavy, dyed hair, which is normally on the drier side, looks noticeably smoother and shinier to me. It also doesn’t feel weighed down. No flakes on my scalp, either, and these don’t strip my color…which is good, considering that they’re designed to not do that. 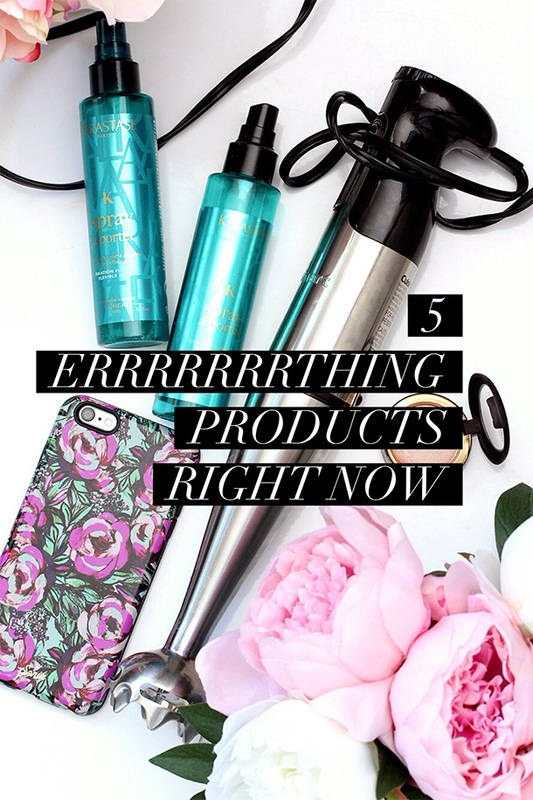 What Are 5 of Your Favorite Errrthing Products Right Now (Not Necessarily Makeup)? What are your 5 favorite “errrthing” products right now? all things; all the things of a group or class. the current situation; life in general. At any given moment, chances are something’s rocking my boat, like a giant life-sized Ryan Gosling body pillow, Charlie the rainbow pegasus, vegan thumbprint oatmeal cookies, etc., etc. 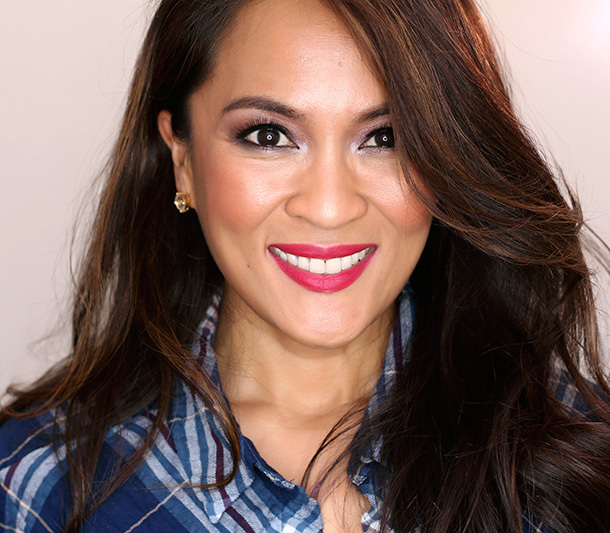 Here are five of my current favorite errrthing products right now. This week, in a shock to everyone (including myself), I’ve actually had the motivation to, ya know, do something with my hair other than throw it into a bun and fugghetaboutit. 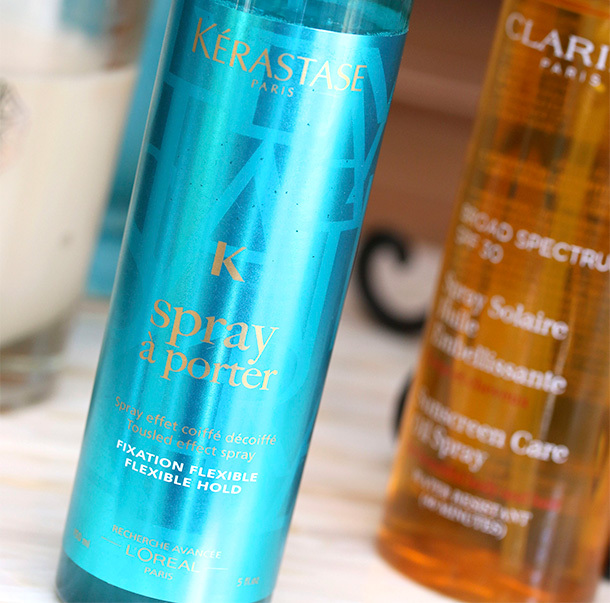 So, out came the Kerastase Spray À Porter. I hadn’t used it in a while and didn’t realize how low I was until I was halfway through styling my mop yesterday and heard the nozzle go pffffft. Good thing Karen from the past was forward-thinking enough to realize that current timeline Karen would get into this situation, and therefore stored a backup bottle in the hair products drawer. Yeah, this stuff is the ISH. I know I’ve probably been gushing about it for a year, but it’s basically a styling spray that does a little bit of everything, and it does it all so well that you might not even need/want anything else. 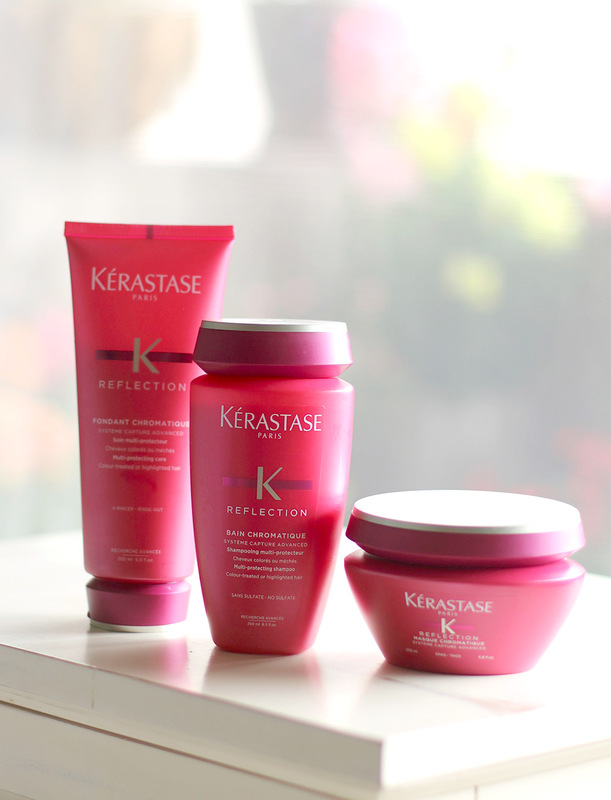 It texturizes, volumizes, gives light hold (not too crunchy), enhances waves and lifts roots. 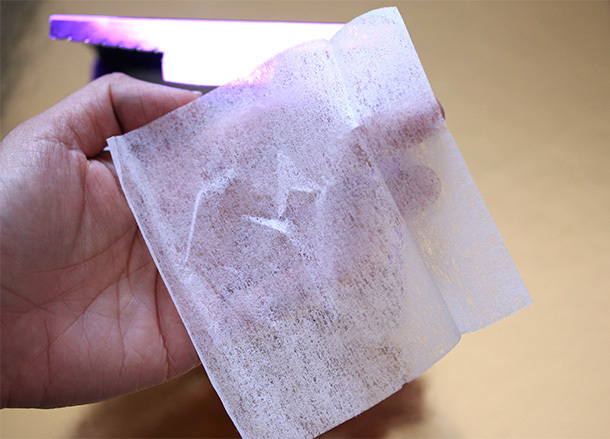 You can even use it as a dry shampoo to absorb oil in a pinch. 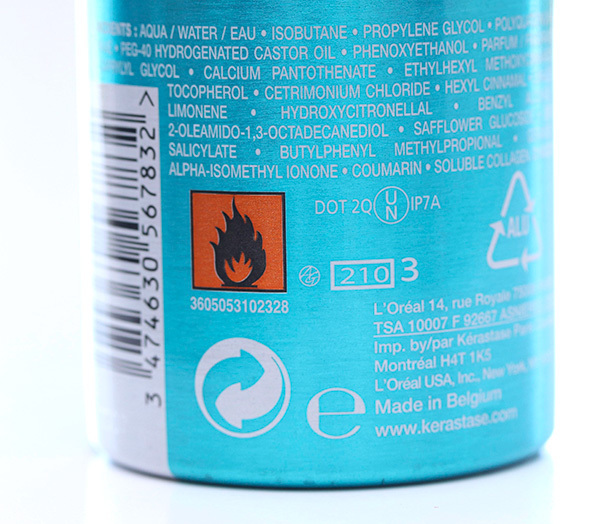 I don’t even know why I keep trying other hair products with Kerastase Spray À Porter around. Oh, wait! — I do know. It’s called short-term beauty memory, haha! My mom got me this Cuisinart Hand Blender for Christmas last year, and I kid you not, I use it almost every freaking day. I also have a regular blender, but I don’t like lugging it out, and then having to clean it up and put it away again. I know, First World Kitchen Problems. This hand blender, though, is so easy to store and clean, and it just works. I used it to make this Pink Power Detox Smoothie this morning, by the way, and it was BOMB. 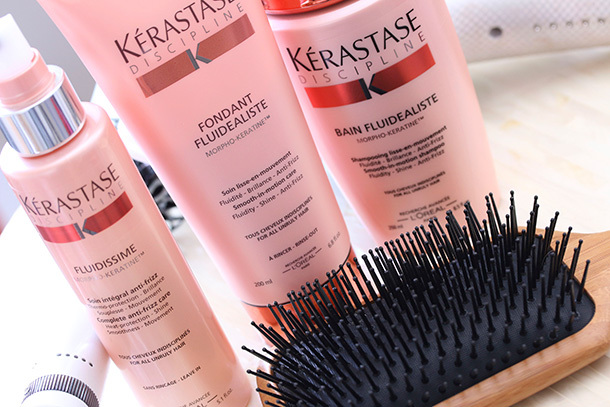 That’s Kerastase Discipline Bain Fluidealiste hair, yo! Try to ignore for a second the bright lips in this pic (it’s Kat Von D Bachelorette), and focus instead on the hair. Note how well-behaved it is…like a previously unruly child who gets suddenly very still and quiet when you mention taking her to Baskin-Robbins if she stops misbehaving. It’s been raining more or less non-stop here for more than a week, and that means high humidity, which in turn usually means horrendous frizz. 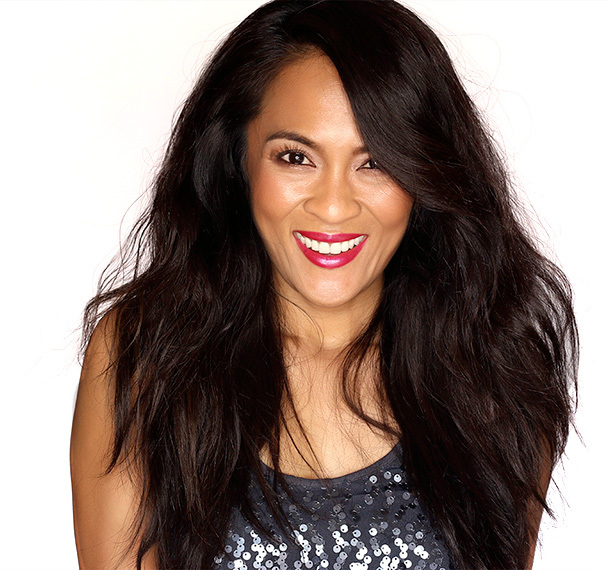 But a few products from Kerastase’s new Discipline Bain Fluidealiste anti-frizz line are helping to keep my hair from throwing any wild fits. Long, long ago in a town, far, far away, a girl did something unfathomable! It was the night of the big winter semi-formal, and she was getting ready at home. Her date — a cutie, of course — was on his way to pick her up, but her hair was a frizzy mess. Ding-dong! The doorbell rang downstairs. In a moment of random panic/fortuitous kismet, the girl grabbed an old dryer sheet from the trash and ran it over the top layers of her hair. Miraculously, her wild, wayward strands were smoothed! Huzzah! 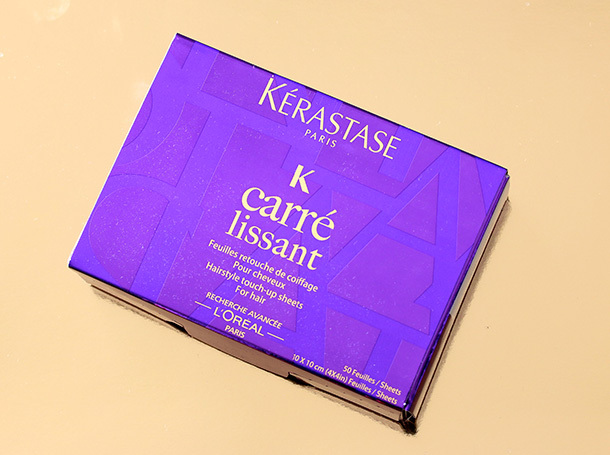 Well, Kerastase is taking that idea and making it less MacGyver-ish, and more hair-friendly, with their new fancy-schmancy Carre Lissant Hairstyle Touch-Up Sheets ($28.50 for a box of 50). They’re basically the same idea. 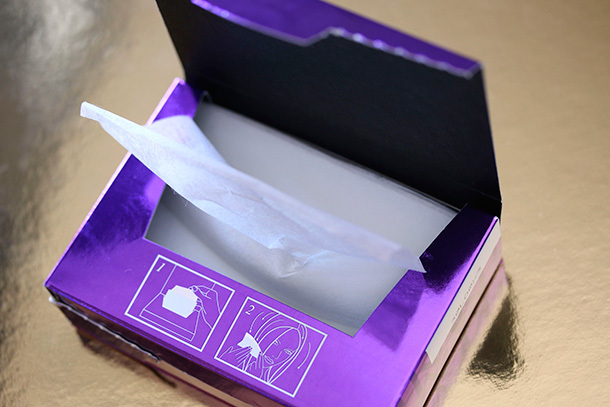 Each sheet contains a waxy-feeling, smoothing product to fix fly-aways and frizz, but instead of scenting your mop with Eau de Snuggle Bear, they leave behind a soothing lavender fragrance. First question I have: what’s a bouffante? Second question I have: why bother with a hairdryer when Mother Nature’s hairdryer, also known as the heatwave we’re having pretty much throughout California right now, works perfectly fine, and also happens to be completely free? 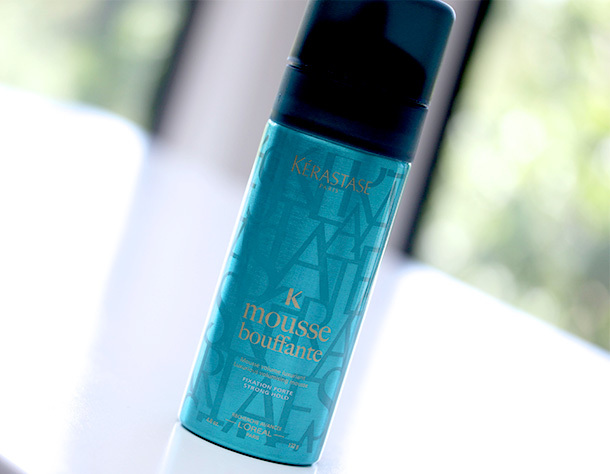 After showering this morning I worked Kerastase Mousse Bouffante into my damp, wavy hair, starting at the ends and making my way down to the roots. Compared to other Kerastase hair styling products I’ve tried, this one smells pretty tame, which I like. There’s just a faint jasmine scent. Designed to embiggen hair (I know that’s not a real word… I just really wanted to use it. 🙂 ) and provide structure without weight, so it gives me the volume I crave. I’m using it buy myself time before my next haircut in about three weeks (my mop has been pretty heavy and kind of flat). 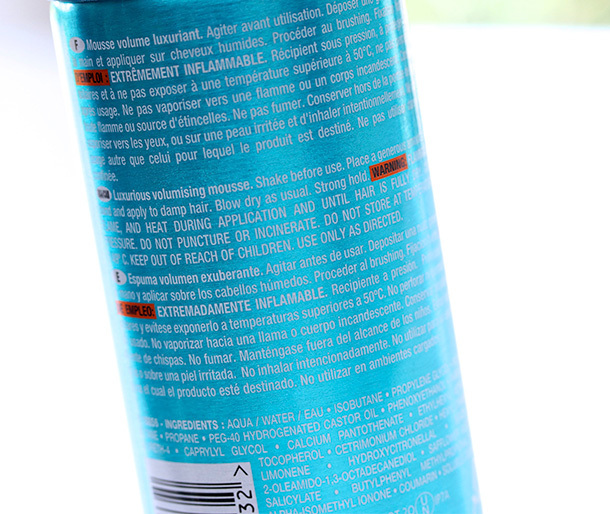 I apply it to my hair when it’s damp, and you can either blow dry or air dry. Since it’s been — to quote Nelly — hot in hurr, I’ve been air drying lately. I usually sit in my oven… I meant “office” upstairs, and wait.